The recipe that started it all…. This is it. This is the recipe that started this website. In high school, I had a job in the kitchen of a small Italian café and learned some basics about cooking. As a result, over time and with a lot of practice cooking for myself – using the grill, broiler, stovetop, etc – I developed some ideas about ingredients and techniques that work well together. With a general sense of what works, I have never really relied on set recipes. Over time, I learned to cook some meats very well without set recipes but was always scrambling to remember what was used last time or exactly how the last delicious meal was concocted. Sometimes, when I did want a new recipe, I would end up spending more time searching the internet…than actually cooking! So, instead of spending any more time trying to find a recipe on the interwebs or creating a new recipe every time, I decided to write it down….I know, genius – right! 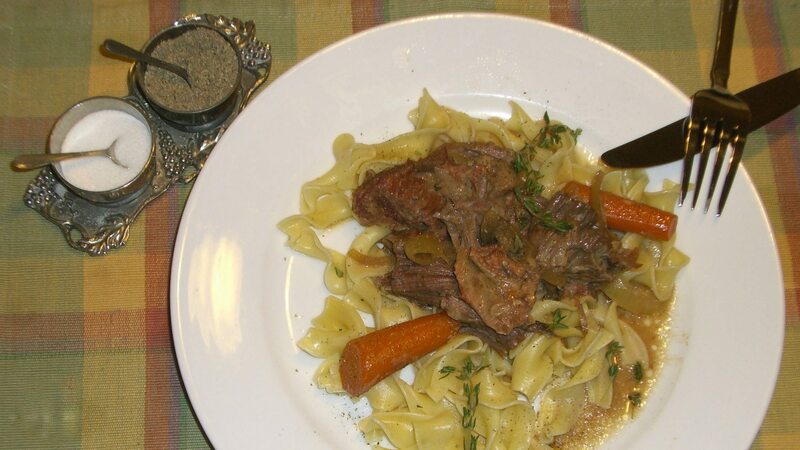 This Easy Crockpot Rump Roast was the very first recipe I recorded to paper…..with ingredients, amounts, times, etc. Although cooking has always been a passion, this was a new element (that I’m still getting used to). Although the idea for Red Meat Lover had been brewing since 2007 (hence the logo reference), this was the recipe that officially started the site! Not only was this the first recipe we recorded, this was the first time we tried to photograph our food….and as you can see, there was a lot of room for improvement…. This is a labor of love to build a community of people who enjoy cooking THE MEATS! We were just tired of getting sucked into an internet vortex of unattainable ingredients from haute blogs and recipe databases. We wanted to provide information about the cuts of meat commonly available in stores and basic recipes. We hope you enjoy RedMeatLover.com and we look forward to building a community of people who share our passion for cooking!